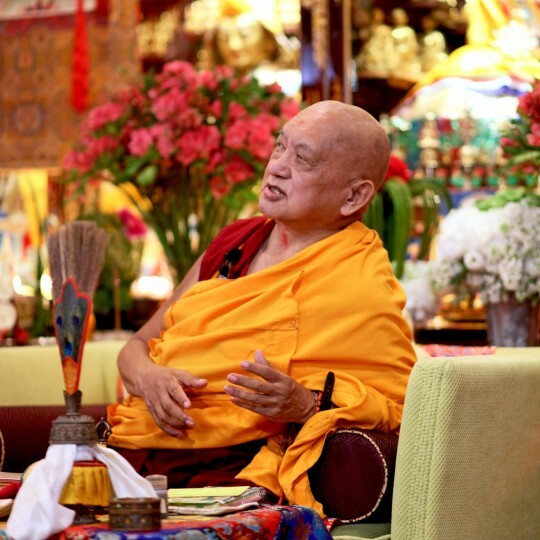 Lama Zopa Rinpoche teaching at Mahayana Buddhist Association, Hong Kong, May 2016. Photo by Ven. Lobsang Sherab. Mandala Publications: Don’t Miss July-December 2016! Loving Kindness Peaceful Youth (LKPY) Is Back! 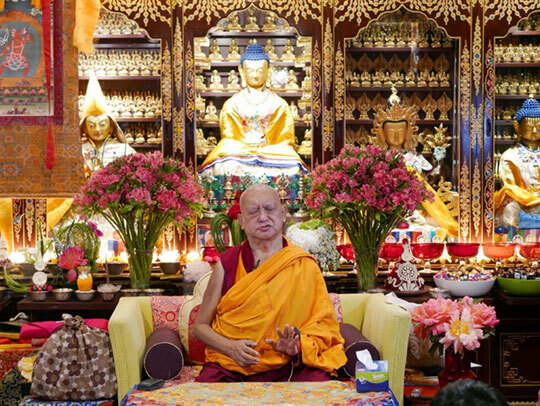 Lama Zopa Rinpoche at Mahayana Buddhist Association (Cham Tse Ling), Hong Kong, April 2016. Photo by Ven. Lobsang Sherab. Lama Zopa Rinpoche has requested that the Mahasiddhi Thang Thong Gyalpo’s protection be made available to all students living in areas threatened by earthquakes. 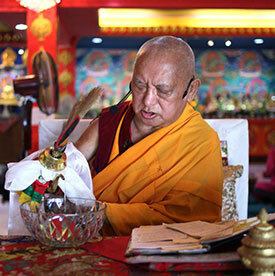 Rinpoche recently added text to an image that should be displayed (i.e., posted on walls). The image is downloadable from the earthquake part of the Natural Disasters section of Lama Zopa Rinpoche’s Advice page. Ven. Roger Kunsang shared this brief teaching from Lama Zopa Rinpoche on his Twitter page. Lama Zopa Rinpoche teaching at Mahayana Buddhist Association (Cham Tse Ling), Hong Kong, May 2016. Photo by Ven. Roger Kunsang. To help you prepare for these teachings, it would be ideal to do one or more modules of Living in the Path, an online program based on Lama Zopa Rinpoche’s Light of the Path teachings. Many of these modules have been recently revised to include guidelines for study, meditation, and practice, and are offered free of charge. Light of the Path Retreat 2016 is the fourth of the Light of the Path retreats. Lama Zopa Rinpoche doing a purification practice (and to help bring rain) while facing Losang Dragpa Centre’s garden, Kuala Lumpur, Malaysia, April 2016. Photo by Ven. Lobsang Sherab. 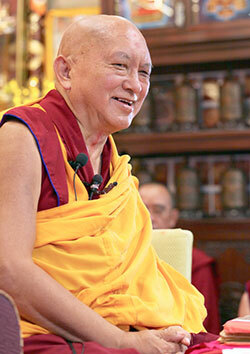 A long life prayer for Lama Zopa Rinpoche, composed by Rangjung Neljorma Khadro Namsel Drönme (Khadro-la), has been added to the “Long Life Prayers for Lama Zopa Rinpoche” section of fpmt.org in English, Italian, Spanish and Tibetan. 108 Names of Tara, featuring the 108 names of Tara in Tibetan, is available as a downloadable card. Heart Advice for Death and Dying, Lama Zopa Rinpoche’s essential teachings on the topics of death and dying, is now available as an ebook. Buddhism in a Nutshell, a program for beginning students, is now available in ebook format. A German translation of Aroma Charity for Spirits (Sur Offering), Duft-Gabe an die Geister (Sur Darbringungen), has been posted in the “Prayers and Practices” section of the fpmt.org website. 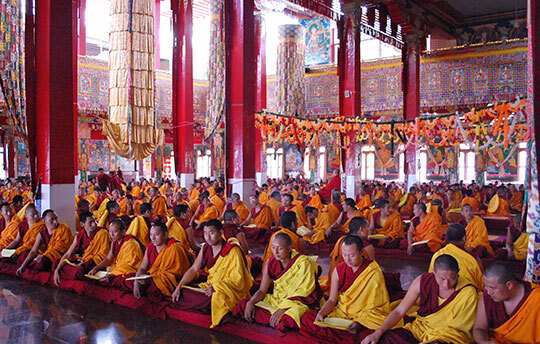 On Saka Dawa, taking place this year on May 21, an amazing 15,650 Sangha members will be offering prayers on behalf of the entire FPMT organization. Sangha members will recite the Prajñaparamita and “Praises to Tara” 100,000 times, offer pujas, present extensive offerings to Lama Zopa Rinpoche’s gurus, and offer robes to holy objects in India and gold to the Jowo statue in Tibet, among many other virtuous activities that have been advised by Lama Zopa Rinpoche. All these pujas are covered by the FPMT Puja Fund, and anyone is welcome to participate in these incredible offering and prayers, which, according to the Vinaya text Treasure of Quotations and Logic, are multiplied in virtue by one hundred million times during Saka Dawa. We’re working on the next issue of Mandala, July-December 2016. In it, we’ll explore Lama Yeshe’s broad vision of universal education with teachings from His Holiness the Dalai Lama, Lama Yeshe and Lama Zopa Rinpoche. We’ll hear from Geshe Thubten Jinpa, Professor Robert Thurman, Rasmus Hougaard, Jon Landaw and many others, and share how FPMT students are translating Dharma wisdom into programs appropriate for people of any religion. Become a Friend of FPMT now and receive the next issue in your mailbox in July! Don’t miss it! The two-week Work a Day for Rinpoche campaign concludes on Saka Dawa, May 21. Each year the campaign raises support for Rinpoche’s vision and the work of International Office during this most auspicious time of year. Students “work a day” by offering a donation of a day’s work earnings, or any other amount, to support a host of FPMT activities. Join in here! With the sincere wish to use and extend the amazing work done in the past for LKPY, and since it has been a few years since LKPY has been an operating organization, I’d love to hear from you about what you’d like to see happen at your center, what you’d like to see stay the same, and what type of support you’d like to have (if you are currently part of a HABIT group already). Discovering Buddhism DVD: Available with subtitles in English, French, Spanish, and German. Order 30+ and get a 40% discount, plus free shipping. Mystic Tibet: Order 10+ and get a 40% discount, plus free shipping. Namgyälma mantra card: This colorful card is now available in a smaller size, perfect for students to carry in their wallets! 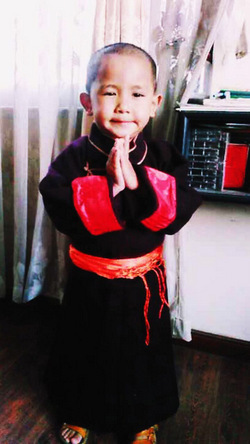 His Holiness the Dalai Lama officially recognized the three-year-old Tenzin Rigsel as the reincarnation of the beloved former abbot of Kopan Monastery Khensur Rinpoche Lama Lhundrup Rigsel. Read Lama Zopa Rinpoche’s announcement of this wonderful news. Congratulations to La Sabiduría de Nagarjuna (Nagarjuna’s Wisdom) in Spain, which has successfully transitioned from FPMT study group to FPMT center! We welcome Gyalwa Ensapa Study Group (probationary center), Broome, Australia. When Lama Zopa Rinpoche read the invitation, Rinpoche was extremely pleased that Institut Vajra Yogini have done these 32 Vajrayogini retreats, and wanted to highlight this for other centers and all students to rejoice in, as it is so incredibly beneficial. Rinpoche also commented that originally it was Lama Yeshe’s idea that each center would put some focus on the practice of the deity for which the center is named, so Institut Vajra Yogini is doing that very well. 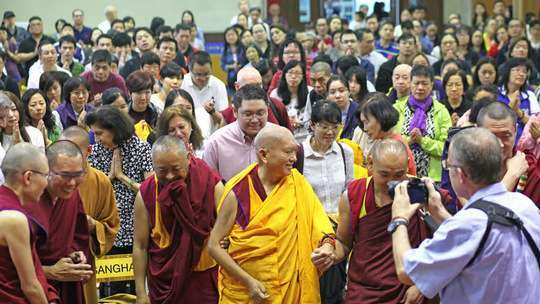 Lama Zopa Rinpoche entering a teaching venue, Hong Kong, May 2016. Photo by Ven. Lobsang Sherab. Chandrakirti Meditation Centre in New Zealand needs a qualified interpreter.